We offer some of the most professionally rewarding assignments available from coast to coast. We’ll connect you with permanent employment or contract assignments. We can put your career on-track with exciting assignments. We’re staffing teams to participate in the development of the latest programs and technologies. 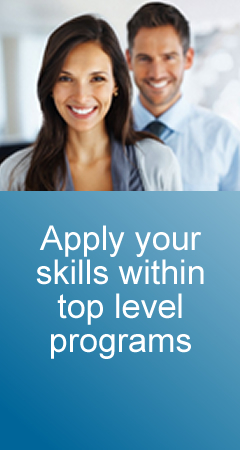 Learn how we can help you achieve your career goals. We have some of the most technically interesting positions available in aerospace, semiconductor, wireless, computer technologies and more. If your career goals include working with talented people, handling challenging assignments and the ability to apply your skills on top level programs, contact our recruitment team.